Pioneer VSX-1131 vs Denon AVRX2400H: Which High Performance, 7.2-Channel Amplifier is Better? Thinking about which advanced, perfectly performing home theater to purchase, compare the devices’ functionality and usability. Is Denon AVRX2400H vs Pioneer VSX-1131 more powerful and feature-rich? Which amp’s sound is loud, balanced and natural? First of all, Pioneer VSX-1131 is based on Google Cast multi-room music streaming technology that is definitely more innovative and easier to use than the Denon’s HEOS system. However, it’s the first time when the technology is featured on Pioneer devices, so any content can be cast from any available app directly to the screen. The other significant difference is the calibration system that is dissimilar in terms of the process and technology. As to the other features, the advanced home theaters are very similar. They both support multiple formats, including DTS:X and Dolby Atmos, have beneficial Bluetooth and Wi-Fi opportunities, but Denon AVRX2400H works with Alexa smart home assistant. Both home theaters have the generous number of HDMI ports and connections. Pioneer VSX-1131 just comes with the third AV input, its Denon counterpart includes the eights HDMI port. Quite naturally, this factor can’t be decisive, as the ports number is more than sufficient. Ethernet connections and USB inputs available on both devices are quite helpful. Is the unique Pioneer’s MCCAC calibration system better than the Audyssey technology that the Denon AVRX2400H amp features? It’s difficult to compare, but the Audyssey Editor is compatible with the newest app that comes with the onscreen assistant that simplifies set up and operation, allowing users to fine-tune the settings. On the others hand, the Pioneer’s calibration process was significantly updated. It is much shorter now, taking up to 10 minutes, requiring no user’s interference and remaining as accurate as before. Additionally, the Pioneer’s remote was simplified, and only the key buttons remained. So, the navigation is more simple and easier to use now. The amp’s manual is still complicated for some users. Denon AVRX2400H is more powerful versus its Pioneer counterpart. It produces detailed, clean, dynamic sound, notable for natural, warm voices and dimensional surrounding effects. On the contrary, the Pioneer device is punchy, producing big, impressive sound. 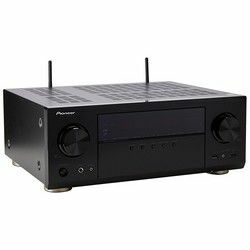 Pioneer VSX-1131 vs Denon AVRX2400H is a bit more intuitive and easier to use. It is based on the latest Google Cast and MCCAC calibration technologies. Its sound is punchy and impressive. The Denon amplifier is a bit more powerful, producing warm, balanced, natural sound. 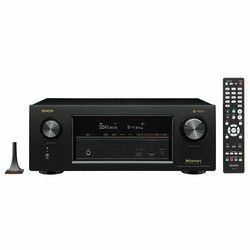 The 7.2-channel home theater is based on HEOS music streaming technology that is good, but not the latest or the easiest to use. Its Audyssey auto calibration process is simple and accurate. The device comes with multiple ports and connections that are helpful and beneficial. Most customers are happy with the amp’s sound that is warm, dimensional, balanced and natural, but not too massive. The amplifier is high-performance and advanced. It is based on the innovative Google cast and the unique MCCAC calibration technology. The home theater is equipped with the simplified remote. Additionally, it produces powerful, 3D, punchy sound.